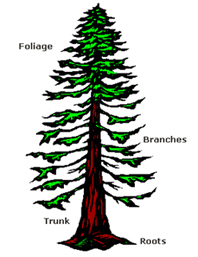 The following is a collection of fact sheets for common insects and diseases of New Hampshire's trees and the forests of the Northeast. Insects and diseases can be searched in four different ways. Insects or diseases (both pests) can be identified by photograph under the Forest Pest category. 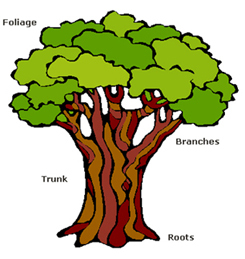 Pests can be searched by tree species under the Forest Pest Host category. Pests can also be searched by the part of tree affected under the Tree Type and Part Affected category. Lastly, pest problems can be searched using a Keyword Search. If none of these assist you in identifying your pest problem you may submit samples to the UNH Insect Identification Services or the UNH Plant Disease & Diagnosis Services. Find fact sheets for insects and diseases based on photos. Find fact sheets for insects and diseases by selecting the tree (host) affected. Find fact sheets for insects and diseases by selecting the type of tree and the part affected. Find fact sheets for insects and diseases by typing in a pest name or keyword. This collection was produced by Jen Weimer as part of an independent study in Plant Biology at the University of New Hampshire with the collaboration of the University of New Hampshire Cooperative Extension Forestry and Wildlife Program.